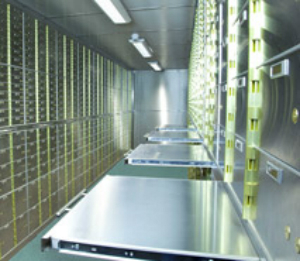 The Shanghai Deposit Locker provides the ultimate protection against not only theft, but fire and flooding too. For all your guests’ valuables, this deposit locker is deal for the storage of items such as passports, money, credit cards, laptops, cameras & jewellery. The Burton Safes range of Deposit Lockers offer great value for high quality protection. All lockers can be designed and built to suit your specific requirements. The high quality, user friendly lockers are designed with a 10mm thick aluminium alloy door, stainless steel facia and metal internal boxes as standard. Furthermore the lockers operate with a dual key locking system, where additional padlocks, locks and keys are available on request. Optional extras include pull out tables, spacers and bases. If you are interested in any of our Hotel Deposit Lockers and Safes call Thornhill Security for more information on 0117 9674994. Our Security Experts are always on hand to help with your purchases and provide a full safe installation service so you can be confident that your guests valuables are secured.